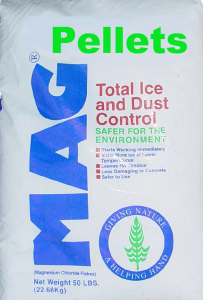 MAG® is a high performance ice melter that is safer for people, pets, concrete, and the environment. Effectively melting snow and ice immediately on roadways and driveways, MAG® ’s melting power reaches temperatures as low as 13°F (-25C) – considerably lower than most other ice melters. 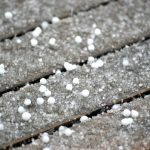 The use of ice melters can sometimes result in damage to concrete sidewalks and driveways. MAG®’s magnesium chloride compound not only outperforms other ice melters, but is less corrosive, less toxic, and environmentally safer because of lower toxicity levels. This safer plant/shrub and pet ice melt is available in 50 lb bags (48 bags per pallet).